Gee, Kevin Cash. You should have seen it. Your team was down to its last heartbeat, with two out in the ninth and no one on. Your bullpen, maligned all season, had a starring role. And the player known for his glove came through with the bat. 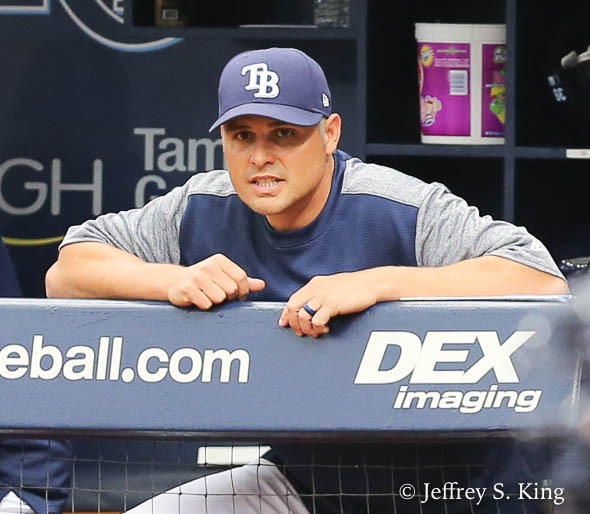 Rays, who beat the Oakland A's 4-3 in a come from behind win Tuesday night. The Rays kept pace with Boston and remain two games back in the AL East race. Cash missed most of the game after being ejected for arguing balls and strikes in the top of the fifth. 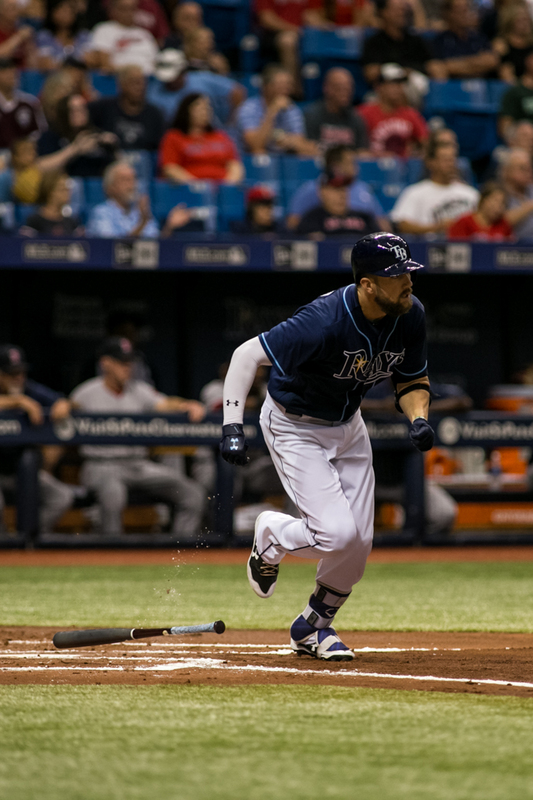 The Rays had only six hits in the game, but three of them came with two outs in the ninth. 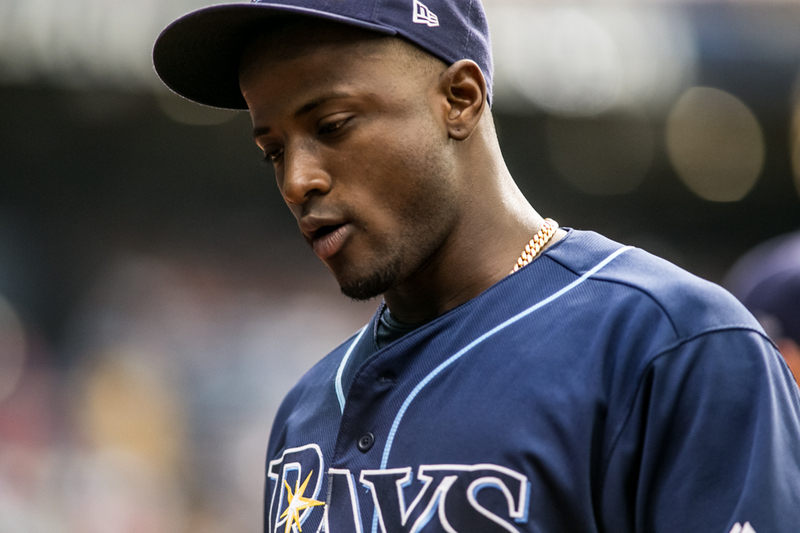 The first was a single by Wilson Ramos, who was replaced by pinch-runner Mallex Smith, who went to second on a wild pitch and third on a stolen base. After a walk to Brad Miller, Smith came home when Adeiny Hechavarria hit a soft grounder through the right side. Outfiender Shane Peterson then followed with a sharp single to right on a full count to bring in Miller with the game-winner. Pitcher Blake Snell struggled again Wednesday night, giving up three earned runs in only four innings of work. He allowed the go-ahead run to Oakland on a wild pitch. But the bullpen bailed him out with five shutout innings of one-hit baseball. The ninth was finished by Alex Colome, who notched his 28th save. The Rays are now a season-high seven games above .500. Steven Souza Jr. homered for the second straight night. He now has 20 on the season. Tampa Bay remains two games behind Boston in the AL East. The Red Sox beat Toronto 5-4 in 15 innings. 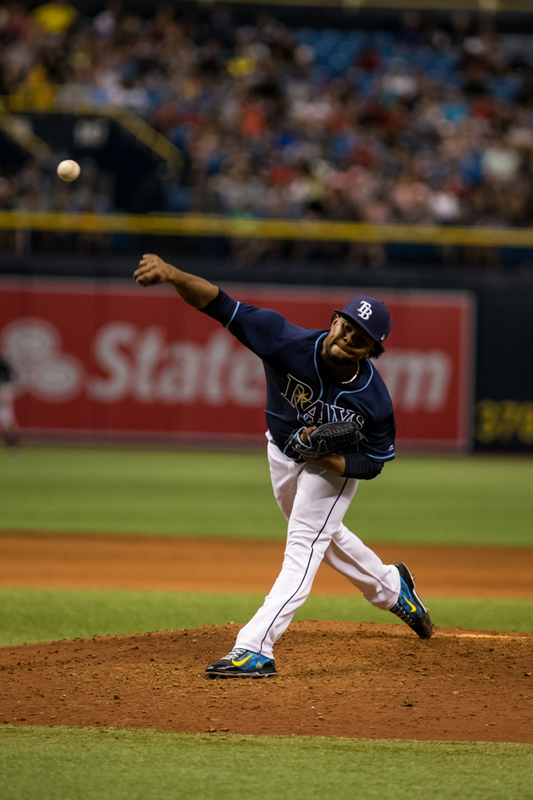 The Rays go for the sweep today when rookie Jacob Faria pitches against Oakland's Sonny Gray.